William, Prince of Orange, the third king of England of that name, born November 14, 1650, was the posthumous son of William II., Prince of Orange, and Mary Stuart, daughter of Charles I. of England. The fortunes of his childhood did not promise that greatness which he attained. His father had been thought to entertain designs hostile to the liberties of the United Provinces, and the suspicions of the father produced distrust of the son. When Cromwell dictated terms of peace to the Dutch in 1654, one of the articles insisted on the perpetual exclusion of the Prince of Orange from all the great offices formerly held by his family; and this sentence of exclusion was confirmed, so far as Holland was concerned, thirteen years after, by the enactment of the Perpetual Edict, by which the office of Stadtholder of Holland was forever abolished. The restoration of the Stuarts, however, was so far favorable to the interests of the House of Orange, as to induce the princess-royal to petition, on her son's behalf, that he might be invested with the offices and dignities possessed by his ancestors. The provinces of Zealand, Friesland, and Guelderland warmly espoused her cause: even the States of Holland engaged to watch over his education, "that he might be rendered capable of filling the posts held by his forefathers." They formally adopted him as "a child of the state," and surrounded him with such persons as were thought likely to educate him in a manner suited to his station in a free government. A storm broke upon Holland just as William was ripening into manhood; and discord at home threatened to aggravate the misfortunes of the country. The House of Orange had again become popular; and a loud cry was raised for the instant abolition of the Perpetual Edict, and for installing the young prince in all the offices enjoyed by his ancestors. The Republican party, headed by the De Witts, prevented this; but they were forced to yield to his being chosen captain-general and high-admiral. Many persons hoped that William's military rank and prospects would incline his uncle Charles II. to make common cause with the friends of liberty and independence; but the English monarch was the pensioner of the French king, and France and England jointly declared war against the States, April 7, 1672. The Dutch made large preparations; but new troops could not suddenly acquire discipline and experience. The enemy meditated, and had nearly effected, the entire conquest of the country; the populace became desperate; a total change of government was demanded; the De Witts were brutally massacred, and William was invested with the full powers of stadtholder. His fitness for this high office was soon demonstrated by the vigor and the wisdom of his measures. Maestricht was strongly garrisoned; the prince of Orange, with a large army, advanced to the banks of the Issel; the Dutch fleet cruised off the mouth of the Thames, to prevent the naval forces of England and France from joining. The following year, 1763, Louis XIV. took Maestricht; while the Prince of Orange, not having forces sufficient to oppose the French army, employed himself in retaking other towns from the enemy. New alliances were formed; and the prince's masterly conduct not only stopped the progress of the French, but forced them to evacuate the province of Utrecht. In 1674 the English Parliament compelled Charles II. to make peace with Holland. The Dutch signed separate treaties with the Bishop of Munster and the Elector of Cologne. The gallantry of the prince had so endeared him to the States of Holland, that the offices of stadtholder and captain-general were declared hereditary in his male descendants. Meanwhile he continued to display both courage and conduct in various military operations against the French. The battle of Seneffe was desperately fought. After sunset, the conflict was continued by the light of the moon; and darkness, rather than the exhaustion of the combatants, put an end to the contest, and left the victory undecided. The veteran Prince of Conde gave a candid and generous testimonial to the merit of his young antagonist: "The Prince of Orange," said he, "has in every point acted like an old captain, except in venturing his life too much like a young soldier." Council of war after the landing of William of Orange. In 1675 the sovereignty of Guelderland and of the county of Zutphen was offered to William, with the title of duke, which was asserted to have been formerly vested in his family. Those who entertained a bad opinion of him, and attributed whatever looked like greatness in his character to ambition rather than patriotism, insinuated that he was himself the main-spring of this manifest intrigue. He had at least prudence enough to deliberate on the offer, and to submit it to the judgment of the States of Holland, Zealand, and Utrecht. They viewed with jealousy the aristocratic dignity, and he wisely refused it. This forbearance was rewarded by the province of Utrecht, which adopted the precedent of Holland, in voting the stadtholdership hereditary in the heirs-male of his body. The campaign of 1675 passed without any memorable event in the Low Countries. In the following year hopes of peace were held out from the meeting of a congress at Nimeguen; but the articles of peace were to be determined rather by the events of the campaign than by the deliberations of the negotiators. The French took Conde and several other places; the Prince of Orange, bent on retaliation, sat down before Maestricht, the siege of which he urged impetuously; but the masterly movements of the enemy, and a scarcity of forage, frustrated his plans. Aire had already been taken; the Duke of Orleans had made himself master of Bouchain; Marshal Schomberg, to whom Louis had intrusted his army on retiring to Versailles, was on the advance; and it was found expedient to raise the siege of Maestricht. It was now predicted that the war in Flanders would be unfortunate in its issue; but the Prince of Orange, influenced by the mixed motives of honor, ambition, and animosity, kept the Dutch Republic steady to the cause of its allies, and refused to negotiate a separate peace with France. In October, 1677, he came to England, and was graciously received by the king, his uncle. His marriage with Mary, eldest daughter of the Duke of York, was the object of his visit. That event gave general satisfaction at the time; the consequences which arose from it were unsuspected by the most far-sighted. At first the king was disinclined to the match, then neutral; and at last favorable, in the hope of engaging William to fall in with his designs, and listen to the separate proposals of the French monarch. 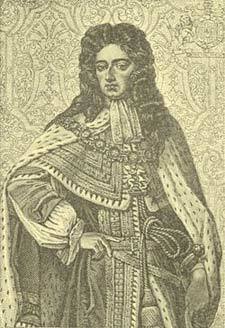 The prince, on his part, was pleased with the prospect, because he expected that the King of England would, at length, find himself obliged to declare against Louis, and because he imagined that the English nation would be more strongly engaged in his interest, and would adopt his views with respect to the war. In this he was disappointed, though the Parliament was determined on forcing the king to renounce his alliance with Louis. But the States had gained no advantage commensurate with the expense and danger of the contest in which they were engaged, and were inclined to conclude a separate treaty. Mutual discontent among the allies led to the dissolution of the confederacy, and a peace advantageous to France was concluded at Nimeguen in 1678; but causes of animosity still subsisted. The Prince of Orange, independent of political enmity, had now personal grounds of complaint against Louis, who deeply resented the zeal with which William had espoused the liberties of Europe and resisted his aggressions. He could neither bend so haughty a spirit to concessions, nor warp his integrity even by the suggestions of his dominant passion, ambition. But it was in the power of the French monarch to punish this obstinacy, and by oppressing the inhabitants of the principality of Orange, to take a mean revenge on an innocent people for the imputed offences of their sovereign. In addition to other injuries, when the Duchy of Luxembourg was invaded by the French troops, the commanding officer had orders to expose to sale all the lands, furniture, and effects of the Prince of Orange, although they had been conferred on him by a formal decree of the States of the country. Whether to preserve the appearance of justice, or merely as an insult, Louis summoned the Prince to appear before his Privy Council in 1682, by the title of Messire Guillaume Comte de Nassau, living at The Hague in Holland. In the emergency occasioned by the probability of the Dutch frontier being attacked in 1683, the Prince of Orange exerted all his influence to procure an augmentation of the troops of the republic; but he had the mortification to experience an obstinate resistance in several of the States, especially in that of Holland, headed by the city of Amsterdam. His coolness and steadiness, qualities invaluable in a statesman, at length prevailed, and he was enabled to carry his measures with a high hand. The accession of James II. to the throne of Great Britain, in 1685, was hailed as an opportunity for drawing closer both the personal friendship and the political alliance between the stadtholder of the one country and the king of the other; but a totally different result took place. The headstrong violence of James brought about a coalition of parties to resist him; and many of the English nobility and gentry concurred in an application to the Prince of Orange for assistance. At this crisis, William acted with such circumspection as befitted his calculating character. The nation was looking forward to the prince and princess as its only resource against tyranny, civil and ecclesiastical. Were the presumptive heir to concur in the offensive measures, he must partake with the king of the popular hatred. Even the continental alliances, which William was setting his whole soul to establish and improve, would become objects of suspicion to the English, and Parliament might refuse to furnish the necessary funds. Thus by one course he might risk the loss of a succession which was awaiting him; by an opposite conduct, he might profit by the king's indiscretion, and even forestall the time when the throne was to be his in the course of nature. The birth of a son and heir, in June, 1688, seemed to turn the scale in favor of James; but the affections of his people were not to be recovered; it was even asserted that the child was supposititious. This event, therefore, confirmed William's previous choice of the side which he was to take; and his measures were well and promptly concerted. A declaration was dispersed throughout Great Britain, setting forth the grievances of the kingdom, and announcing the immediate introduction of an armed force from abroad, for the purpose of procuring the convocation of a free parliament. In a short time, full four hundred transports were hired; the army rapidly fell down the rivers and canals from Nimeguen; the artillery, arms, stores, and horses were embarked; and, on October 21, 1668, the prince set sail from Helvoetsluys, with a fleet of near five hundred vessels, and an army of more than fourteen thousand men. He was compelled to put back by a storm; but, on a second attempt, he had a prosperous voyage, while the king's fleet was wind-bound. He arrived at Torbay on November 4th, and disembarked on the 5th, the anniversary of the gunpowder treason. The remembrance of Monmouth's ill-fated rebellion prevented the western people from joining him; but at length several persons of consideration took up the cause, and an association was formed for its support. At this last hour James expressed his readiness to make concessions; but it was too late, they were looked on only as tokens of fear; the confidence of the people in the king's sincerity was gone forever. But, how much soever his conduct deserved censure, his distresses entitled him to pity. One daughter was the wife of his opponent; the other threw herself into the hands of the insurgents. In the agony of his heart the father exclaimed, "God help me! my own children have forsaken me!" He sent the queen and infant prince to France. Public affairs were in the utmost confusion, and seemed likely to remain so while he stayed in the island. After many of those perplexing adventures and narrow escapes which generally befall dethroned royalty, he at length succeeded in embarking for the continent. The prince issued circular letters for the election of members to a convention, which met January 22, 1689. It appeared at once that the House of Commons, agreeably to the prevailing sentiments both of the nation and of those in present authority, was chiefly chosen from among the Whig party. The throne was declared vacant by the following vote: "That King James the Second, having endeavored to subvert the constitution of the kingdom by breaking the original contract between king and people; and having, by the advice of Jesuits and other wicked persons, violated the fundamental laws, and withdrawn himself out of the kingdom, has abdicated the government, and that the throne is thereby vacant." By the national consent, the vacancy was supplied by his daughter Mary and her husband William jointly. The Prince of Orange lost no time in apprising the States-General of his accession to the British throne. He assured them of his persevering endeavors to promote the well-being of his native country, which he was so far from abandoning, that he intended to retain his high offices in it. War with France was renewed early in 1689 by the States, supported by the house of Austria and some of the German princes; nor was it difficult for William to procure the concurrence of the English Parliament, when the object was the humiliation of France and her arbitrary sovereign. In the spring of 1689, James landed in Ireland with a French force, and was received by the Catholics with marks of strong attachment. Marshal Schomberg was sent to oppose him, but was able to effect little during the campaign of that year. William, in the meantime, had been successful in suppressing a Jacobite insurrection in Scotland, and embarked for Ireland with a reinforcement in the summer of 1690. He immediately marched against James, who was strongly posted on the River Boyne. Schomberg passed the river in person, and put himself at the head of a corps of French Protestants. Pointing to the enemy, he said, "Gentlemen, behold your persecutors!" With these words he advanced to the attack, but was killed by a random shot from the French regiments. The death of this general was near proving fatal to the English army; but William retrieved the fortune of the day, and totally dispersed the opposite force. In this engagement the Irish lost 1,500 men, and the English about one-third of that number. Disturbances again took place among the Jacobites in the Scotch Highlands. A simultaneous insurrection was planned in both kingdoms, while a descent from the French coast was to have divided the attention of the friends of government; but the defeat of the French fleet near Cape La Hogue, in 1692, frustrated this combined attempt, and relieved the nation from the dread of civil war. In 1691 the king had placed himself at the head of the Grand Alliance against France, of which he had been the prime mover; he was, therefore, absent on the continent during the dangers to which his new kingdom was exposed. His repeated losses in the following campaigns rather impaired than enhanced his military renown, though they increased his already high reputation for personal courage. The death of Queen Mary, which took place early in 1695, proved a severe calamity, both to the king and the nation. She had been a vigilant guardian of her husband's interests, which were constantly exposed to hazard by the conflicts of party and by the disadvantages under which he labored as a foreigner. In 1696 a congress was opened at Ryswick, to negotiate a general peace; and William did not interpose any obstacles. In the following year the treaty was concluded. The King of Spain's death led to the last event of great importance in William's reign. The powers of Europe had arranged plans to prevent the accumulation of the Spanish possessions in the houses of Bourbon and Austria; but the French king violated all his solemn pledges, by accepting the deceased monarch's will in favor of his own grandson, the Duke of Anjou. In consequence of this breach of faith, preparations were made by England and Holland for a renewal of war with France; but a fall from his horse prevented William from further pursuing his military career, and the glory of reducing Louis XIV. within the bounds of his own kingdom was left to be earned by the generals of Queen Anne. The king was nearly recovered from the lameness consequent on his fall, when fever supervened; and he died March 8, 1702, in the fifty-second year of his age and thirteenth of his reign. The character of King William has been drawn with all the exaggeration of panegyric and obloquy by opposing partisans. His native country owes him a lasting debt of gratitude, as the second founder of its liberty and independence; and his adopted country is bound to uphold his memory, as its champion and deliverer from civil and religious thraldom. 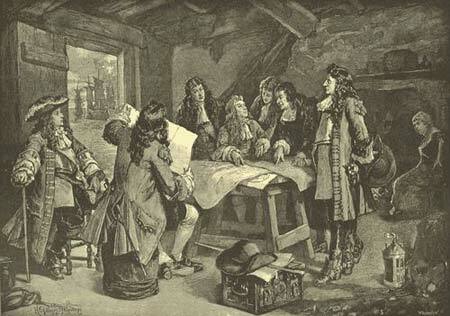 In short, the attachment of the English nation to constitutional rights and liberal government may be measured by its adherence to the principles established at the Revolution of 1688 and its just estimate of that sovereign and those statesmen who placed the liberties of Great Britain on a solid and lasting foundation.